Minister, author, philosopher, theologian, educator, civil rights leader, and one of the most important figures in African American history, Howard Thurman was born in Florida and grew up in a world of segregation. He went to Morehouse College, where he was a classmate and friend of Martin Luther King, Sr., and graduated first in his class. He next went to divinity school and at 26 was ordained a Baptist minister. After pastoring a church in Ohio, he became the dean of chapel and a faculty member in the School of Divinity at Howard University, in Washington DC. Traveling to India, he was able to meet two people he revered, Mahatma Gandhi and Rabindranath Tagore. He helped establish the Church for the Fellowship of All Peoples in San Francisco, the first racially and culturally integrated church in the US. He went to Boston University, where he taught in the School of Theology and served as dean of chapel, the first black to hold a deanship at a predominantly white university. 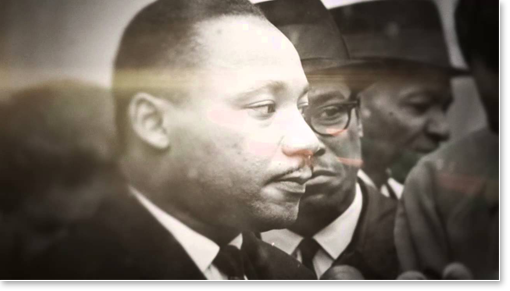 He mentored Dr. Martin Luther King, Jr., who was doing his doctoral studies there, introducing King to Gandhi’s philosophy of nonviolent resistance. Thurman wrote 20 books, beautifully composed, deeply felt reflections on life and living. This is a remarkable passage, worth reading several times. Thurman describes experiencing a region deep within himself that he calls “the Great Silence.” Settling inward, beyond sense perception, he feels withdrawn from everything. This process brings deep rest that refreshes the body and clears the mind. In this silence he experiences “the wholeness in which the life of man has its being.” Here, “seeking and finding” become united in the experience of the divine and the meaning of all things. Beyond the goals of peace, the ends of war! When we experience the “wholeness at the core” of life, Thurman tells us, we find evil transformed to goodness, enemies to friends, hate to love. This experience, he says, transcends time and offers the ultimate goal of human seeking. We find descriptions of this experience all over the world and throughout history. The experience is universal — yet also appears to be exceedingly rare in history. If you practice the Transcendental Meditation technique, you may feel a special resonance with Thurman’s words. 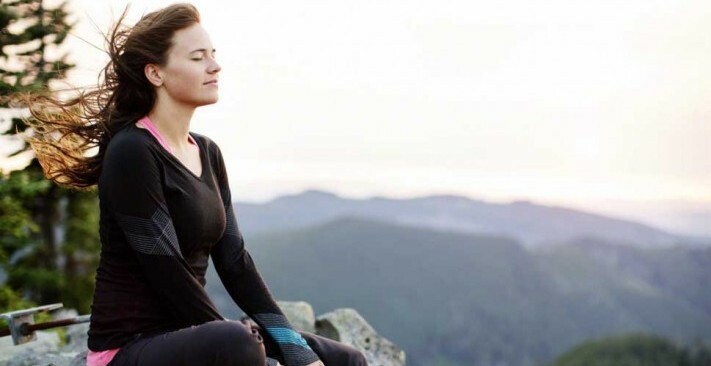 The purpose of the Transcendental Meditation technique is to enable us to have this experience of inner peace and quietness every day, twice daily, and not to leave it to chance. The Transcendental Meditation technique is simple, natural, and effortless — so simple that even 10-year-old children can learn it. It has nothing to do with concentrating or controlling the mind. It simply allows one to dive within — to go beyond, or transcend, perception and thought, effortlessly arriving at the experience of consciousness in its simplest, most silent state, pure and unbounded. This is “the Great Silence” Thurman talked about, the wholeness at our core. What all of these findings add up to is a picture of full human potential being unfolded — steadily, rapidly, week by week, year by year. This experience of transcending, abstract though it may seem, has enormous practical applications — in classrooms, in the workplace, in prisons, in substance abuse clinics. This is what the research on the Transcendental Meditation technique has shown again and again. Every human being has the natural ability to have this experience. It may have been a rare experience until now — but now, with the simple and systematic technique Maharishi has given us, this experience and it profound benefits are available to everyone. Thurman pictures a world in which people live in wholeness, in harmony with natural law and with each other, a heavenly world. This is exactly what Maharishi envisioned, and it was to create such a world that Maharishi came out of the Himalayas to bring the Transcendental Meditation technique to our world family. For an extended interview with Howard Thurman, click here. 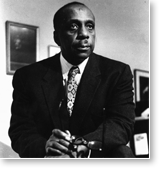 For an article about Howard Thurman published by Boston University, click here. 1. Howard Thurman, The Inward Journey (Richmond, Indiana: Friends United Press, 1961), 112. 2. The Inward Journey, 123–124. 3. The Inward Journey, 130. 4. The Inward Journey, 96. 5. The Inward Journey, 90. Craig Pearson, Ph.D., is Executive Vice-President of Maharishi University of Management in Fairfield, Iowa. His forthcoming book, The Supreme Awakening: Developing the Infinite Potential Within, includes chapters that highlight the experiences of higher states of consciousness of men and women throughout history.